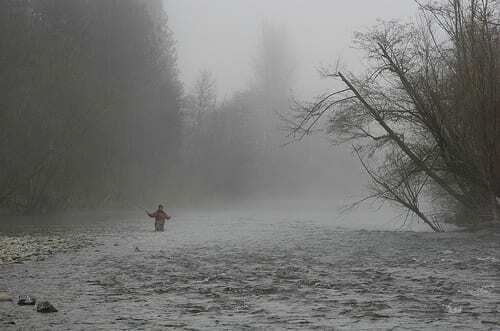 Are Steelhead & Salmon Returning To The Trinity River? 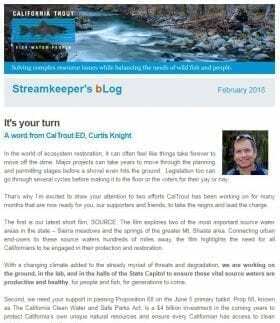 | California Trout, Inc.
Home > Regions > North Coast > Are Steelhead & Salmon Returning To The Trinity River? Are Steelhead & Salmon Returning To The Trinity River? 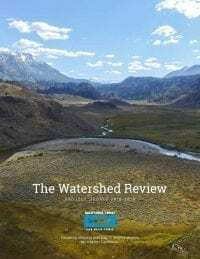 The Trinity River is enjoying a renaissance with California’s steelhead fishermen, and while steelhead populations seem to be prospering, salmon populations remain a bigger question. In this piece, CalTrout’s North Coast manager Darren Mierau looks at the Trinity’s recent history and (maybe) comeback. More than a decade has passed since the Trinity River Record of Decision (ROD) was signed in December 2000 by Bruce Babbitt, then Secretary of the Interior under President Clinton. Since then, there has been uncertainty about what has been done and the effectiveness of the work on the Trinity. A brief reminder of the Trinity’s illustrious background may be useful to set the stage. 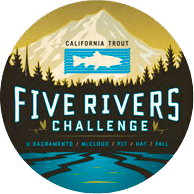 At 2,900 square miles, the Trinity River is the largest – and arguably the most important – tributary to the Klamath River, joining the Klamath 45 miles upstream of the Pacific Ocean. Historically, the Trinity River and its tributaries provided many hundreds of miles of salmonid habitat, and supported robust runs of spring and fall-run Chinook salmon, winter and summer steelhead, coho salmon, coastal cutthroat trout, sturgeon, lamprey, and other native fish and wildlife species. The Trinity River Flow Evaluation Study (TRFE; USFWS 1999) estimated up to 75,500 fall-run Chinook returned to the Trinity in good years. Construction of Lewiston Dam on the Trinity River was completed in 1964 and blocked salmon and steelhead access to over 100 miles of habitat above the dam. Water operations then began diverting up to 75-90% of the annual water yield at Lewiston over to the Sacramento River for agricultural uses in the Central Valley. The dramatic reduction in flows below the dam had severe consequences for the river channel and salmonid populations. In addition to habitat loss upstream of the dam, the river’s spawning gravel supply was cut off, the river became confined by riparian berms, spawning gravels and pools became degraded by fine sediment, and low baseflow releases provided poor water temperature conditions during the spring smolt outmigration period. 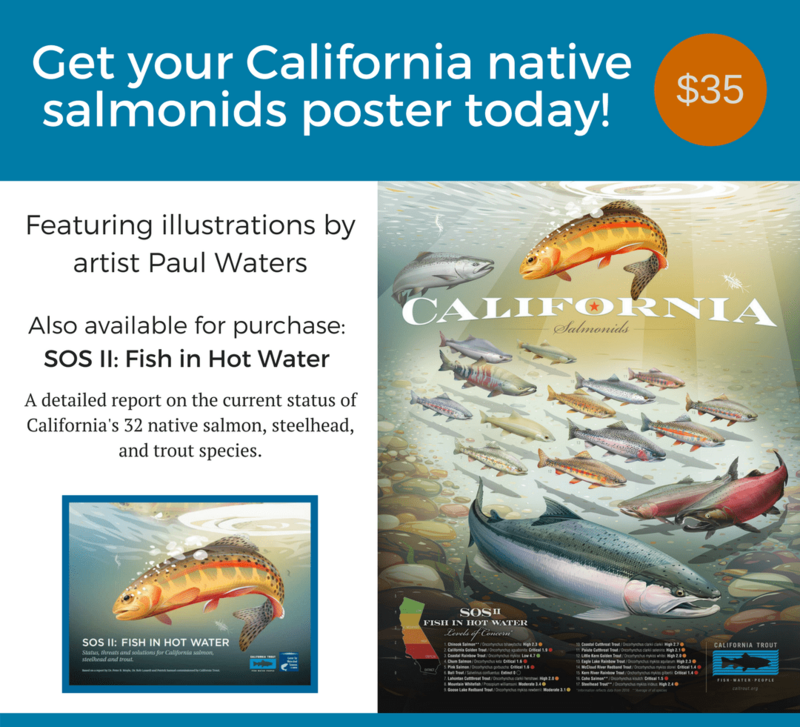 In addition, water quality conditions in the lower Klamath River had deteriorated to the point where survival of Trinity River juvenile salmonids heading out to the ocean was probably very low in many recent years. A rigorous science and adaptive management program to learn from this fundamentally important experiment in river restoration. A total of 23 bank rehabilitation sites have been built in Phase 1 of mechanical reconstruction, and another 23 sites are planned and designed for Phase 2. 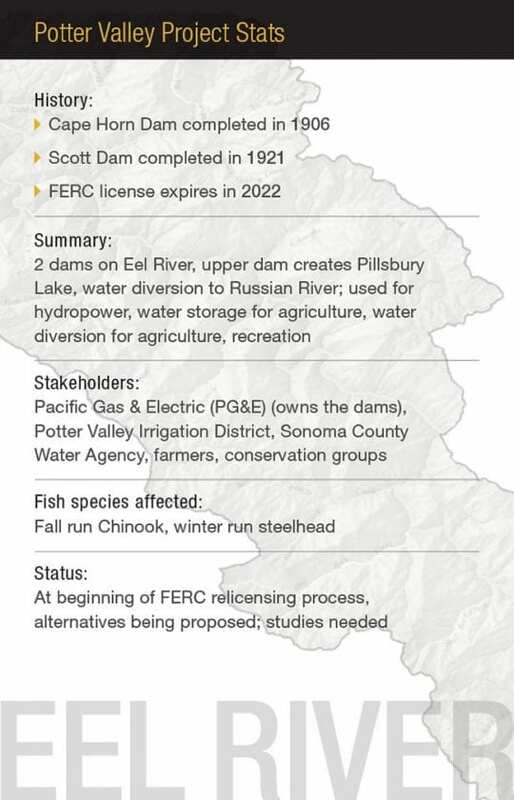 So, how are these accomplishments impacting the salmon and steelhead returns? Two fish trapping weirs are operating on the Trinity River, one near Willow Creek (for enumerating fall-run Chinook, coho, and fall-run steelhead) and one near Junction City (for enumerating spring-run Chinook). Fish returning to the Trinity River Hatchery are also counted. 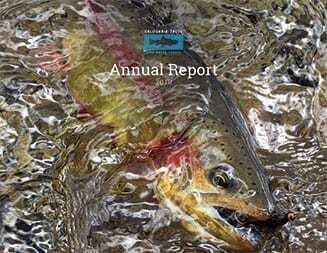 Estimates of the total run size of fall-run Chinook salmon upstream of the Willow Creek weir show annual returns to the Trinity River in recent years to be fluctuating in a range typical of the past three decades – with run-size estimates ranging between 23,000 and 64,000 fish. No post-ROD rebound in adult Chinook counts appears in the data, but Chinook seem to be holding steady. Coho salmon, on the other hand, appear to be declining further in the Trinity River, despite being supported by a hatchery. Similar declines are being observed in many other rivers throughout the North Coast. 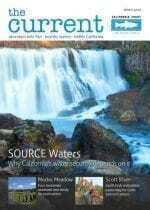 Following several good years in which adult coho estimates exceeded 20,000 fish, the past four years have not topped 10,000 adult coho, and have dipped as low as 5,750 adult coho. Steelhead, the elusive salmonid that defies our best efforts at population estimation, appear to be doing well in the Trinity River, and maybe better than the salmon runs. 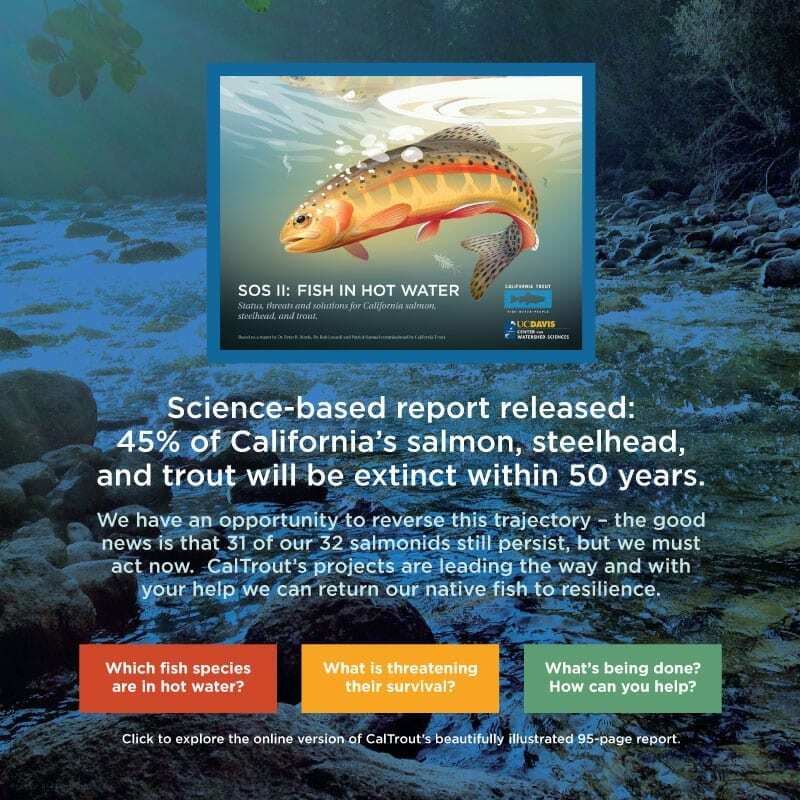 A fish rebound may not be entirely clear from available data, but some program participants think even this year may be the first clear uptick, and the next few years may continue to see larger salmon and steelhead returns. So, while the outcome of the TRRP is unclear, one thing is certain – the past decade has brought tremendous change to the Trinity River. And more change is certain to come. 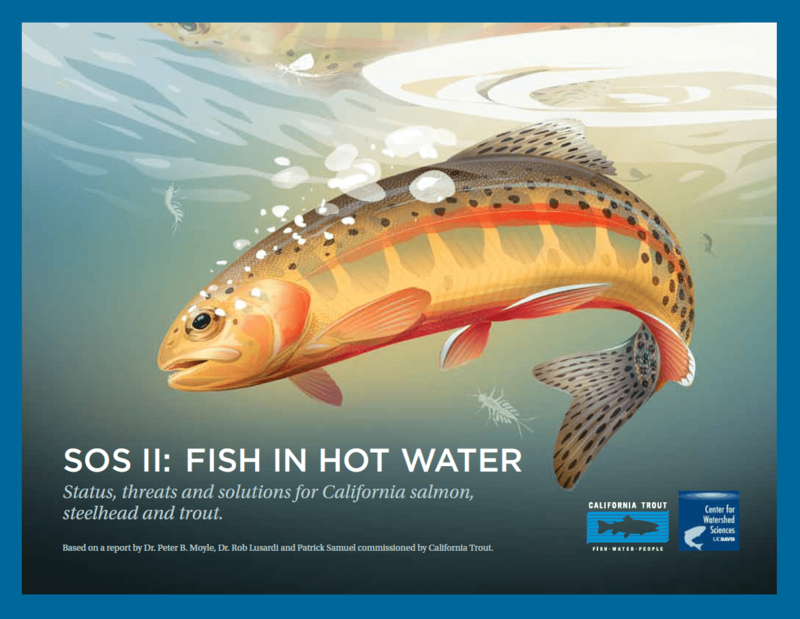 CalTrout will continue to support the ROD and the river restoration program. We also encourage program managers to conduct a thorough review of Phase 1 implementation, and to respond to concerns voiced from outside the program on the outcome of restoration actions. My concern has been with the fly fishing only water. It appears to me that riffles and holding water have been compromised by being filled in with gravel. It also appears to me that the numbers of catchable fish has decreased over the years. It is my hope that whatever changes need to be made to improve the river are undertaken. I believe that all steak holders should be involved in the decision making process for improving the river. 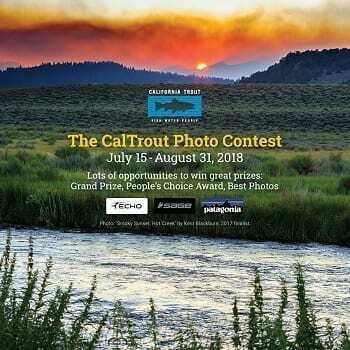 Therefore, I believe TU, Cal Trout, Local Guides should all be included in analyzing effectiveness of the current policies and in suggesting ways to improve upon the current policies. I started fishing the Trinity before the dam was completed in 1964. My early days were tragic, to say the least. Learning to properly present the single fly drift without and indicator or aid became an obsession for me. Today I do an OK job and can feel the “grab” with reasonable frequency. In recent years, I have noticed the increase of the use of the float indicator used from a drift boat. These folks enjoy early and easy rewards when guided by professional guides. Personally, I think it is unreasonable to fish this method and it may be in conflict with the regulations, which require a single fly on the fly water only sections. I would like to hear comments from others regarding this subject. I agree Joseph, but not everyone has has the luxury of all the years in those golden days that you fortunately had. It usually takes years to develope that almost 6th sense feel of the line on the water to differenciate between a take and a snag. Most people fishing the trinity today with guides only do so a few time a year. I was born and raised in Central Pennsylvania and i’ve seen hundreds of rivers, lakes, and streams desimated by man in the quest for water and power. I suppose you should be thankful the Trinity isn’t completey wiped out like many other rivers throughout the USA. 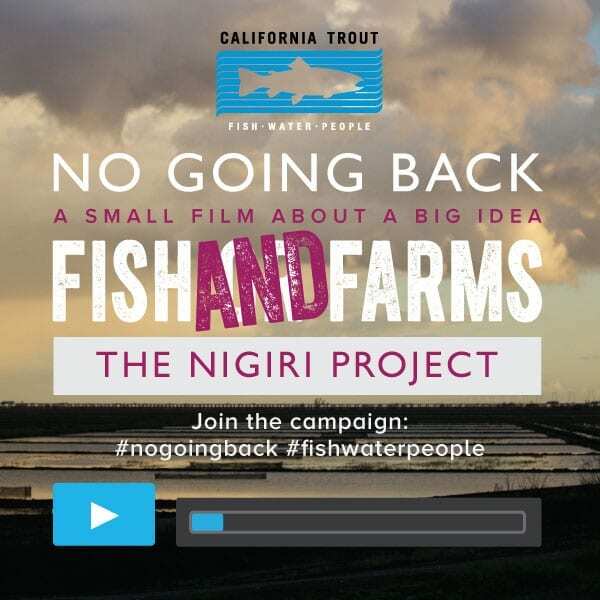 If it’s not dams, it’s commercial fishing both native and non-native fishers, droughts, polution, logging, etc. Read “Mountain in the Clouds” by Bruce Brown for more perspective. I used to fish the Trinity back in the 70’s and while it wasn’t as good as prior to the dams, we had lots of fun and a reasonable good fisheries but the conditions seemed to perfect with good amounts of fish in the river. I miss those days too. I now fish SE Alaska almost exclusively and the resourse seems to be managed better there than any other state in the Union but the fact that there is more water with far fewer people has a direct impact on the quality of the fishers too…NO DOUBT!! Do the words “over population” have any significance to you? I think the writing is on the wall!! Nobody wants to address that issue! !